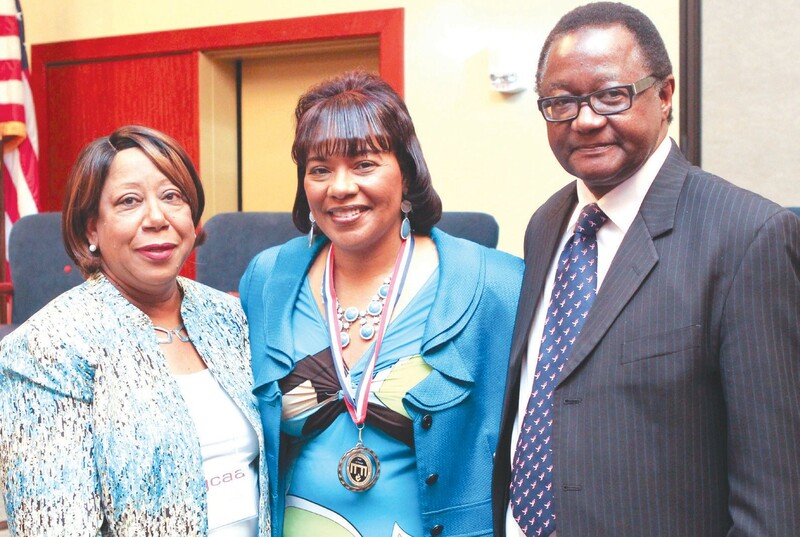 (L-R): Lorraine Daniels Executive Director, GCAA; Dr. Bernice A. King and Terry Tolbert, President GCAA. Over 350 members of the Georgia Community Action Association throughout Georgia gathered in Savannah July 8-11 to commemorate the 50th Anniversary of Community Action. The Georgia Community Action Association’s mission is to serve as the professional organization for the development and implementation of strategies to provide GCAA members the tools to be effective community action agencies in solving the problems of poverty within the State of Georgia. On August 20, 1964 President Lyndon B. Johnson signed the Economic Opportunity Act into law. The Act created Community Action Agencies and other programs such as Job Corps, Medicare and VISTA to fight his War on Poverty. Terry Tolbert, President of the Association said “each year at our convention, we become a community of life changing practitioners for the poor in the state of Georgia. This is something to truly celebrate. This year is the golden (50th) anniversary of the signing of the Economic Opportunity Act and the creation of Community Action Agencies in Georgia and around this country”. Celebrating the 50th Anniversary of the Association brought in the foot soldiers to this year’s conference who were instrumental in making the organization successful through the years including John Finney, EOA; Leonard Dawson, Preston Weaver and Clarence Billips. At the Thursday morning session a Special Town Hall Meeting was held. Fireside chats with legends in the Community Action Movement with Moderator Dr. Joyce Dorsey, President of FACAA, spoke on the subject 50 Years Beyond the Economic Opportunity Act of 1964. A special tribute to Rev. Charles Grant was made during the conference. Grant participated in the civil rights movement, served on numerous boards throughout Clayton County. He passed away April 3, 2014. Dr. Bernice A. King, Chief Executive Officer of the King Center was the featured speaker. She spoke about the 50 years Beyond the Civil Rights Act. She talked about the coalition between her father, Dr. Martin Luther King, Jr., the voting rights act and the signing of the economic opportunity Act. Her speech focused on poverty and division. “With so many non-profits, the funding is divided into too many pieces and we have become accommodating,” King stated. “We can no longer continue to be accommodating” is the message King will continue to preach. In speaking with some of the GCAA members, Tolbert was told “this was one of the best conferences ever”.